New Products – Tri-Tronics SmartDot Laser Sensor – Automation Technology, Inc. 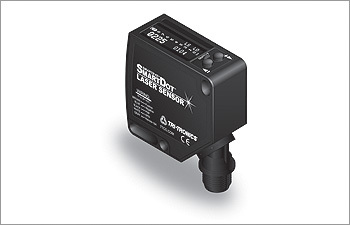 The Tri-Tronics SmartDot Laser sensor features an easy to read digital OLED display ensuring confidence that a reliable setup has been established. The display includes a 10-bar contrast indicator, numerical value readout, digital scope and built-in timers. Proximity models have a focus range of 6” or 18”.